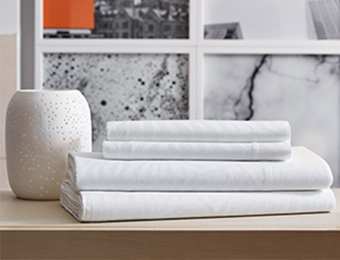 Top your bed with the crème de la crème of duvet covers and shams by Frette. White-on-white zebra damask says wild, but in a whisper. 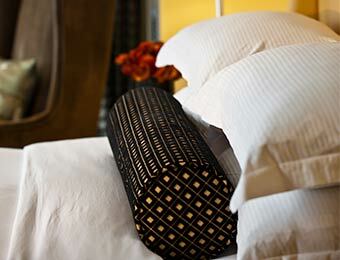 Classic stripes envelop you in smooth cotton sateen comfort. Luminous cotton sateen kisses your skin good night. How do we love our sleep? 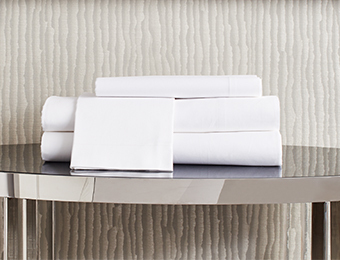 Let us count the ways: Embroidered linens, zebra stripe, mini stripe, sateen. (We hope you’re not indecisive.) 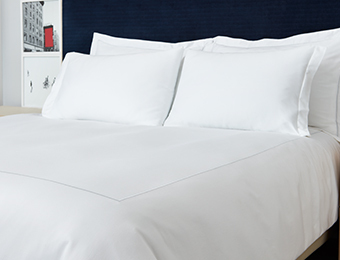 But more than quantity, it’s about the quality for Kimpton hotels: 100% extra-long staple cotton by world-acclaimed linens purveyor Frette. Shop away, then sleep away.